Is one of your New Year's resolutions to lose weight? Have you yet been able to maintain that goal? If you've already given up on having a freshly trim waistline, but don't want to admit the extent of the possible damage, now there's a new belt for you! Meet the Belty, created by the French group Emiota. It functions as a regular belt, however it is embedded with enough technology to autonomously decide whether to tighten or not. An onboard accelerometer and gyroscope track your activities for the day, and adjust the belt as required, whether you're practicing fitness or fatness. Unfortunately, no alarms are yet rigged to off if you exceed a certain donut-feasting capacity. 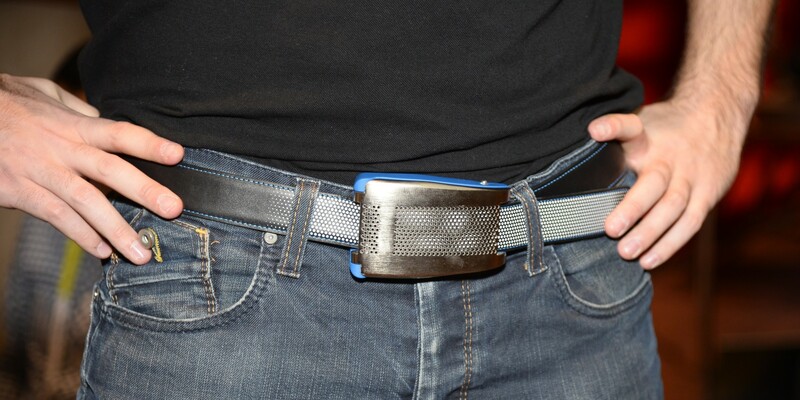 According to androidspin.com, Belty uses a "high end" series of small motors to control this gatehouse to your gut. Instead of shaming you into a set size, you'll be able to wear the ever-expandable Belty theoretically until you're so large you no longer have a need for belted pants and just constantly wear a muu-muu. Belty was a standout hit at the recent 2015 Consumer Electronics Show in Las Vegas. 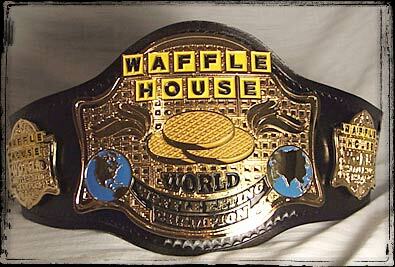 According to cnet.com, despite the niche crowd that would desire a brutally judgmental belt, Belty has already made waves by being a flagship example for the new term "awareables." This designation describes any element of wearable fashion that also serves to gather specific information to help the user, such as the Google glasses that will be punched off of many more faces in 2015. How many awareables does it take before they all become self-aware? Emiota co-founder Bertrand Duplat explained this new modern marvel in strict terms of what it means to innovate for the future, explaining that, "the belt experience hasn't changed in centuries"...but now, there's Belty. What item of your clothes will technologically quantify your fatness next? Could modern compression socks actually tell you you're putting too much pressure on your feet? We'll just have to wait for more of the future and see. In the meantime, if Belty's not getting tighter, like a noose that wants to help you rather than punish you...maybe it's time for a walk.